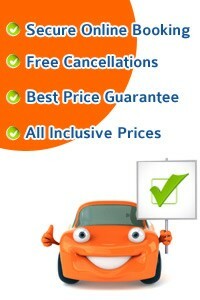 Car Rental Amsterdam Schiphol Airport. Car Hire: Compare Avis, Budget, Europcar, Enterprise, Hertz, and Sixt, The car rental desks are located located in Schiphol Plaza in the airport's main foyer. 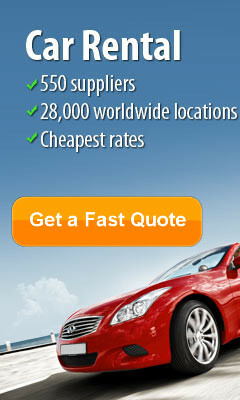 Driving Directions to Amsterdam Schiphol Airport Return a rental car to Amsterdam Schiphol Airport. Take the A4 to Schiphol, then follow the 'Car Rental Return' signs. Taxi service: A Schiphol Travel Taxi service available from outside the terminal. 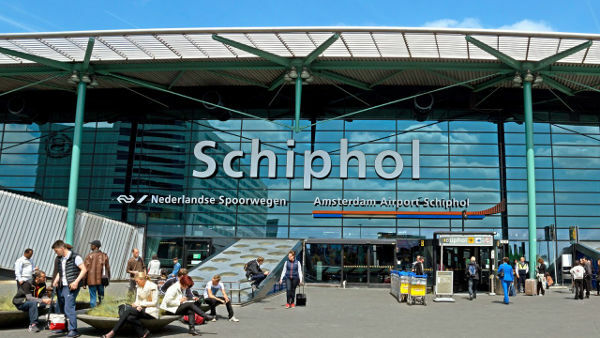 Train service: Schiphol station is situated directly below the airport. You can pick up a free baggage trolley from the platform. Via Schiphol Plaza, you can walk straight to the departure or arrival hall. WIFI: Free WiFi in the terminal. There is a museum for nearly everything in Amsterdam from art, history, photograph, aviation, cheese, bags and purses, fashion, the list is endless, so be sure to allow enough time to explore. Also not to be missed is the Amsterdam Diamond District, Amsterdam being the main centre for diamonds. While you are visiting Amsterdam you must call to Amsterdam ZOO and visit the Heineken Experience. Amsterdam would not be Amsterdam without seeing a windmill or two, one being the Sloten Windmill and De Gooyer. Take some time out in some of Amsterdams many park and garden areas such as Vondelpark, Amstelpark, the Botanical Garden, take in the wonderful flower and tulip displays at the Bloemenmarkt on Singel Canal. Shopping in Amsterdam is divided into many different quarters such the main shopping street of Kalverstraat, the Antique and Art Quarter on Spiegelkwartier, enjoy a coffee and cake in one of its numerous cafe's dotted on each canal corner, just a taste of the delights Amsterdam holds. citizenM Amsterdam Airport, Jan Plezierweg 2, 1118 BB Schiphol CitizenM Amsterdam Airport is a luxury design hotel at Schiphol Airport, just a few minutes walking distance from the main terminals, offering trendy rooms with adjustable colours and flat-screen TVs. It provides easy connections to the airport terminals and train stations. All rooms at citizenM Amsterdam Airport have king-size bedding and a private bathroom with a powerful rain shower. Guests can benefit from free Wi-Fi, free movies and adapters for US, UK and EU plugs. It has direct connections to Amsterdam city centre and business districts via a 24-hour train service. Sheraton Amsterdam Airport Schiphol, Schiphol Boulevard 101, 1118 BG Schiphol The 4-star Sheraton Amsterdam Airport Schiphol and Conference Centre has direct access to Schiphol international airport and is only 20 minutes away from Amsterdam city centre. The Link at Sheraton is a comfortable technological lounge where you can use internet and even print your boarding passes, free of charge. The elegant, modern, functional, and soundproof guest rooms provide wired and wireless internet access, unique amenities, and outstanding comfort. Bilderberg Garden Hotel, Dijsselhofplantsoen 7, Amsterdam Oud Zuid, 1077 BJ Amsterdam Bilderberg is a 5-star hotel situated in a quiet area of Amsterdam, only 10 minutes’ walk from Vondelpark. It boasts an elegant restaurant, lounge with a fireplace and a terrace. Bilderberg Garden Hotel benefits from air-conditioned rooms with a work desk and tray with tea and coffee making facilities. The P.C. Hoofdstraat shopping area is just over a 15-minute walk away. Bilderberg Garden is only 2 km from Amsterdam RAI. Museumplein, featuring the Rijksmuseum and Van Gogh Museum, is 15 minutes’ walk from the hotel. Hotel Estheréa, Singel 303 - 309, Amsterdam-Centrum, 1012 WJ Amsterdam Hotel Estheréa is ideally located on one of the most beautiful and quiet canals in the centre of the city. Dam Square is only 300 meters away. Each of the stylish rooms are romantically decorated and have a private bathroom and Wi-Fi (charges applicable). Some rooms have a canal view. Hotel Estheréa is situated in the heart of the city centre within walking distance of museums, the main shopping area and night life. You will find plenty of cafés and restaurants in the area. Hotel Casa 400 Amsterdam, Eerste Ringdijkstraat 4, Oost-Watergraafsmeer, 1097 BC Amsterdam Hotel Casa 400 is situated just outside the centre of Amsterdam, which can be reached in 10 minutes by tram.There is free Wi-Fi. The rooms have extra long beds and a flat-screen TV with several interactive functions. The refrigerator in each room will keep your drinks and food cooled. Casa 400 has an underground car park. The Van Gogh Museum and the lively Leidsplein with its many restaurants can be reached in a 10-15 minute walk.